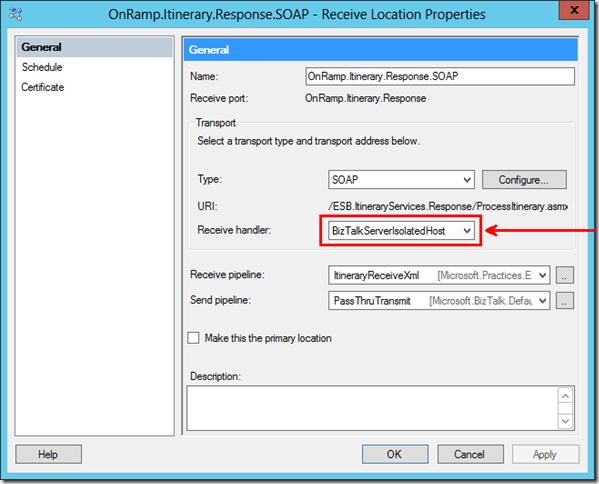 This post is the eleventh in a weekly series intended to briefly spotlight those things that you need to know about new features in BizTalk Server 2013. For whatever reason, the feature that we’ll be looking at today did not actually make the new features list on MSDN — which is unfortunate really, because it is a welcome relief for those that have a lot of Dynamic Send Ports fighting for host resources in environments with multiple BizTalk Server Applications. What new feature might I be talking about? 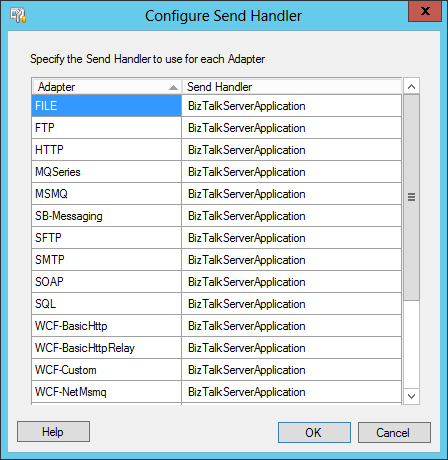 The new Configure Send Handler dialog in BizTalk Server 2013! 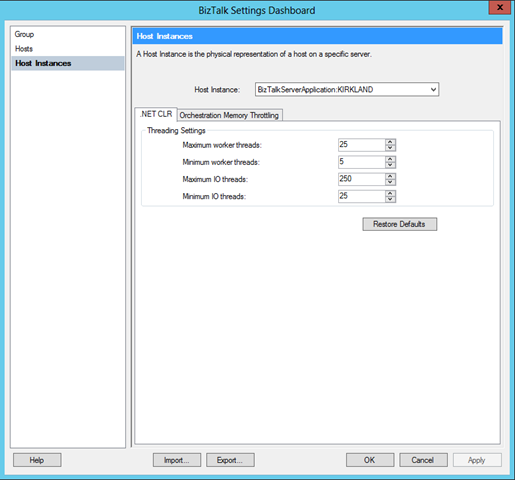 BizTalk Server has a rich scaling model based on the concepts of Hosts and Host Instances. A Host is essentially a definition of a workload. A workload that might involve the processing of a certain set of orchestrations, a certain set of receive operations, or a certain set of send operations. A Host Instance is an NT Service running on a machine for the purpose of processing that specific work load. 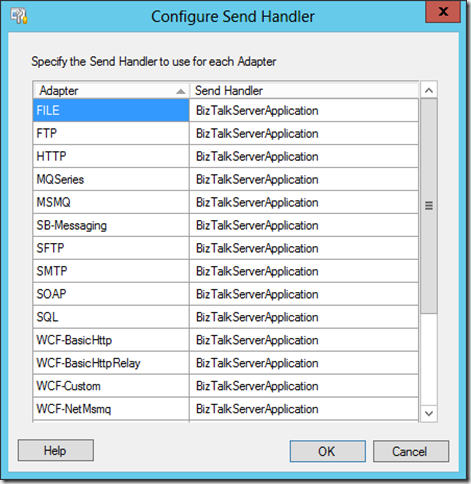 Within BizTalk, each Host is allowed to make use of certain adapters as part of its work. These Hosts (not specific instances, but the workloads themselves) then become the valid Send or Receive Handlers for that adapter – and might even have specific settings at the Host level (e.g., each Host can have a specific SMTP server pre-configured at the Host level for the SMTP adapter). So that’s pretty neat, and maybe pretty boring if you already know all of this stuff – so what does it have to do with Dynamic Send Ports, or BizTalk Server 2013? Before we can see what benefit we’re getting in 2013 with regards to Hosts and Host Instances, we have to understand Dynamic Send Ports. 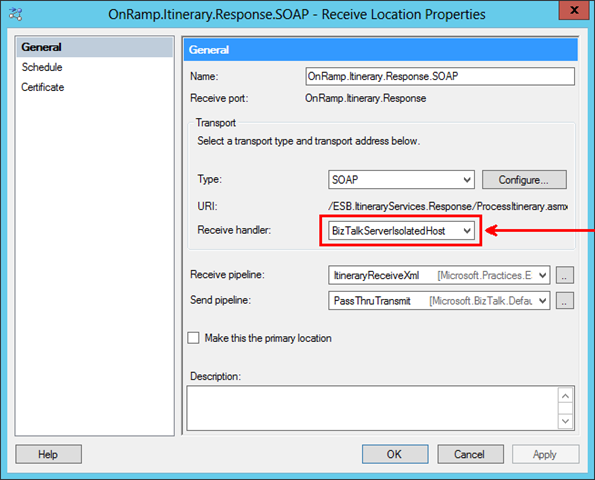 A Dynamic Send Port is a Send Port that doesn’t allow us to select and/or configure an adapter from the Administration Console. Instead, it allows us to select/configure an adapter in code as the message is being processed. More specifically, it allows us to provide information in the context of the message that tells the Send Port which adapter to use, and how to configure that adapter. This would enable scenarios like sending a file to a different location based on some information inside the message (without having to know those locations AT ALL in advance). 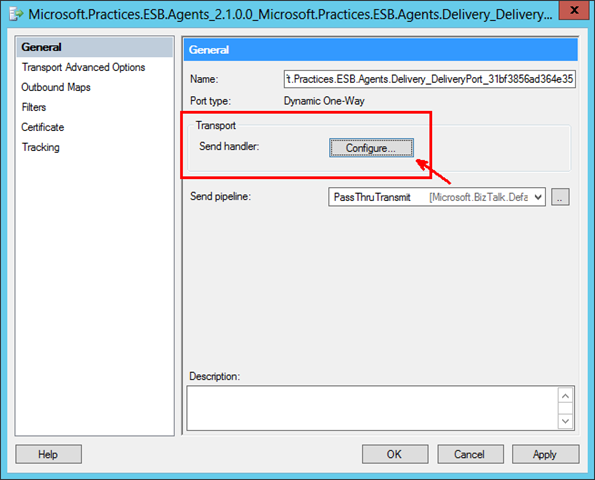 One interesting thing about Dynamic Send Ports in the past, is that they haven’t had a “Send handler” property. In other words the Send Port itself does not specify which workload / work queue to place the work of sending the message (or executing the pipeline for that matter). Instead, the way that the Host is chosen is based on the adapter that the message wants to use. The handler mappings for that adapter are looked up, and the default send handler for that adapter is used. Let’s imagine that I have multiple applications that take advantage of dynamic send ports. Now let’s imagine that they’re all sending WCF messages using the WCF-Custom adapter. What ends up happening is that all of that work is converging on the same Host (workload / work queue), and our Host Instances (workers) for that one Host are now being used for processing the work of all of these applications. That’s fine if all of those applications are equally important, and don’t mind some level of contention with one another. But if one is critically important, and I want to have some level of reserved resources for it, I’m kind of stuck – until BizTalk Server 2013. 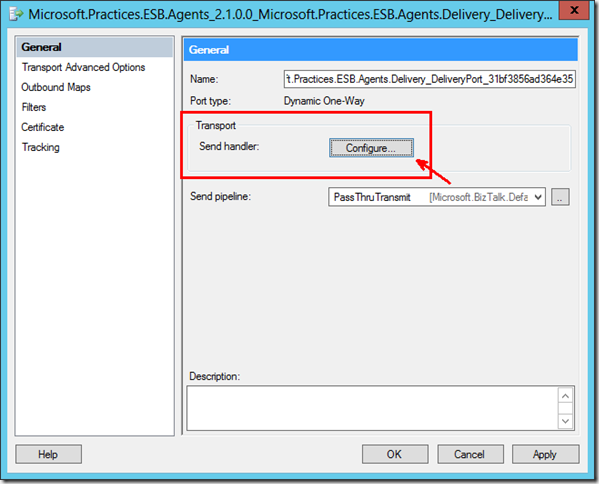 This makes BizTalk Server 2013 a must have for those of us that work consistently with Dynamic Sends (especially in the context of ESB Toolkit based integrations). Where Can I Learn This Stuff? Maybe this has you excited too, and you have enough information to go on and do great things. Maybe, this has you realizing you’re getting a little bit behind the bleeding edge, and want to get sharper. Take care until next time. I hope to see you in the field doing great things (and telling the rest of the community about it), or in class preparing to do so!